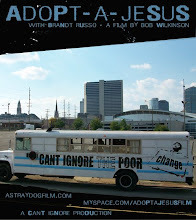 CHARLESTON, W.Va. -- Filmmaker Bob Wilkinson spent 17 days on the road with street preacher Brandt Russo, eating out of dumpsters and stealing used cooking oil from restaurant trash bins to fuel a bio-diesel powered bus, all to help capture the plight of the homeless on film. "You live off a lot of crackers and hummus," the 34-year-old independent filmmaker said. "If you look in three dumpsters, you usually find something to eat, but you may not find something you want to eat or that's nutritious. "It's kind of hit and miss. You get what you get." But hit and miss is exactly the way that America's homeless population lives, and it's one of the reasons Wilkinson wanted to record their stories on camera. "Adopt-a-Jesus," Wilkinson's documentary about the trip, will show at West Virginia State University in Institute at 7 p.m. Monday, Marshall University on Tuesday and West Virginia University Parkersburg on Wednesday. For additional screenings, visit www.adoptajesus.com. Screenings are free, but DVDs are being sold for $15 to help defray production costs. Marshall University graduate, unofficial promoter, film producer and Wilkinson's wife, Charessa Wilkinson, said 40 screenings of the film already have been scheduled in locations as far-flung as Atlanta and New York. "We're booked all the way until the end of March now, almost every day," the 33-year-old said. News of the film has traveled largely by word of mouth, and Charessa is booking screenings at just about any venue that's interested. "Here in Ripley," she said, "I contacted a tattoo shop." The Wilkinsons consider themselves Christians, but, like Russo, they stepped away from the organized church to pursue a more grassroots, personal Christianity that stresses direct action over church politics. Accompanied by Wilkinson, Russo took his cooking-oil-powered bus on the road last summer to help the homeless, record some of their stories and crawl into corners mainstream churches often miss or ignore. "It opened my eyes to a lot of things, and made me think about things I wouldn't have," Wilkinson said. "It seems to strike a chord with people who watch it." Wilkinson has shot five 30-minute documentaries for West Virginia Public Broadcasting. "Adopt-a-Jesus" is his second independent film. He said he was surprised at how hard life on the streets is. "You see someone panhandling for money, and you think, 'What a lazy person that is,' " he said. He said he and Russo spent much of their time looking for food or oil for the bus. 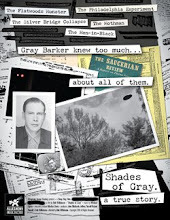 Wilkinson found the experience exhausting, and he knew he would be able to go to a permanent home when the project was over. "You're constantly working for survival," he said. Wilkinson concedes that some people might view their actions as not very Christian. "There's no way around it," he said. "We were stealing. "It was a survival instinct at that point. In a lot of poverty situations, you have that. The Christian thing to do would be that the people who have things should give them to the people who need them, rather than throw things away, rather than accuse people of stealing. 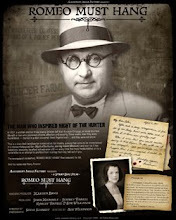 Charessa Wilkinson said the couple's seat-of-the-pants approach to shooting and promoting the documentary has paid off. She believes the project is in God's hands. Whenever she needs something, someone pops up to help. "It's totally a God thing," she said. "One day I needed someone from Canton, Ohio, to come to my house on Dec. 6, pick up Brandt and take him to Ohio," she said. A screening was scheduled in Youngstown on Dec. 7, and Russo's ride had fallen through. "Wouldn't you know, the next day someone called from Canton wanting to have a screening on the sixth." Bob and Charessa Wilkinson said the purpose of the film is to open the public's eyes to the real needs of the homeless and to encourage direct action. "That's been at the heart of this from the beginning," Bob Wilkinson said. He said he has gotten offers from distributors to market the film to a larger audience, but he has declined. "It becomes an exploitation, rather than a genuine project about changing peoples' minds," he said. Reach Rusty Marks at rustyma...@wvgazette.com or 304-348-1215.